If it swims, I fish for it. 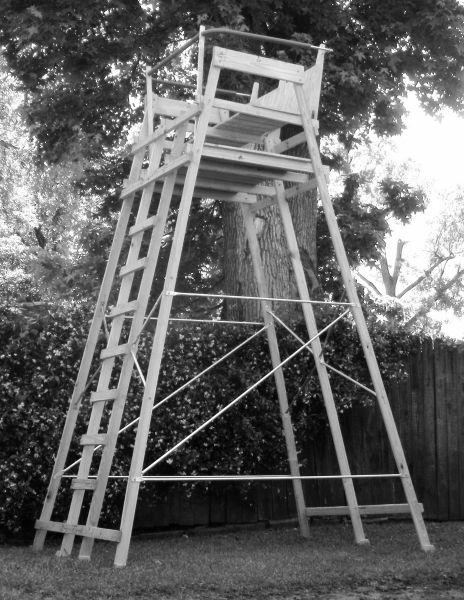 Just finished building my new two-man 'High Chair' deer stand. It came out NICE! Now I need some camo netting to hang around the shooting rail. March and April are my favorite times for scouting on my deer lease. I'm in a ten-man club with a 900 acre lease on a pine tree plantation. Our only hardwoods consist of a 50 yard wide swath bordering an intermittent creek bed that bisects the property. We try to keep our impact low in the fall and during the season by using only a few well defined paths to our stands, and avoiding roaming and brush busting. 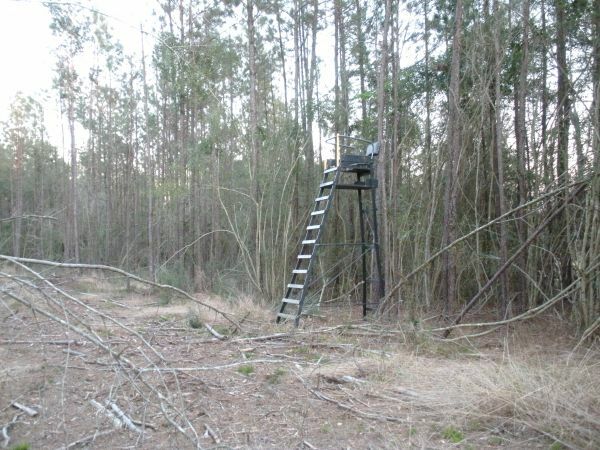 So I'm out in early Spring looking for deer trails, sheds, old rubs and scrapes, and new stand locations. This year has been especially interesting because the loggers did a thinning cut a little while back and the area has changed a lot due to more sunlight and new growth. Recently I was checking out an area that has never been very good for us. But the logging activity changed it quite a bit and it has a lot of new briar, blackberry, and other sprouts starting to stick up in the logging cuts. And one real biggie - three deer beds off to the side of the cuts, about ten yards back into the trees. So guess where I put one of my 12 ft. high chair stands? 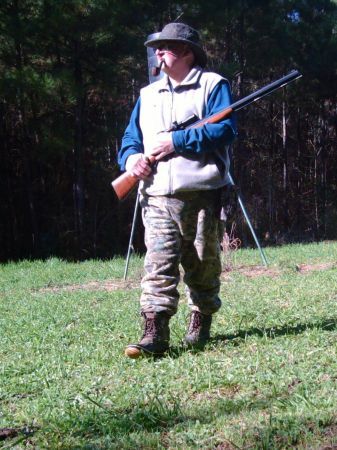 I hunt, fish, shoot muzzle loaders, smoke a pipe, and drink Scotch (and that's about all you need to know).